This keynote features insights Myra gained from a fascinating interview with the owner of a successful barbershop with a 50-year history. 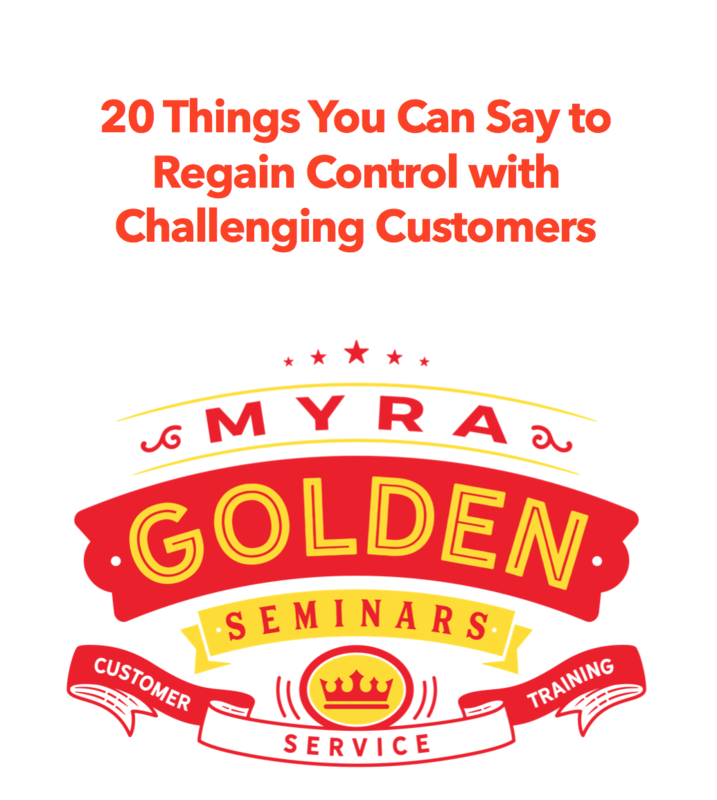 This talk focuses on how you can take your customer interactions and transform them into impressive experiences using the keys Myra learned from the famous Sanders Barbershop in Broken Arrow, OK.
Today’s customers want an experience; an experience that is easy, meets their needs and is enjoyable. Myra, a former global head of customer care, teaches organizations how to bring their processes and people in harmony with customers’ needs and expectations for a delightful and memorable customer experience. Myra introduces 4 keys for customer experience design: Harmony, Empathy, Strategy and Be Here Now. Leaders will examine how best in class companies have executed the 4 Keys for an exceptional customer experience and to drive profits. The result of this keynote is an audience prepared to identify ways to reduce customer effort and develop employees’ emotional intelligence to deliver the best possible customer experience. How to recognize when your processes or people are out of harmony with what your customers need and expect. Discover storyboarding as a technique to help you quickly identify bottleneck steps for an instant improvement in your customer experience. Get inspired by best practices for harmony in companies like Apple, Zappos, and Starbucks. Execute your new customer experience strategy faster by using a new fiercely focused project plan that gets all of your horses going in the same direction. Her perspective and message was easy to follow, and she gave actionable items that will help our organization for years to come. She truly understands what it takes to make lasting emotional connections with customers and has a wonderfully effective way of delivering it.